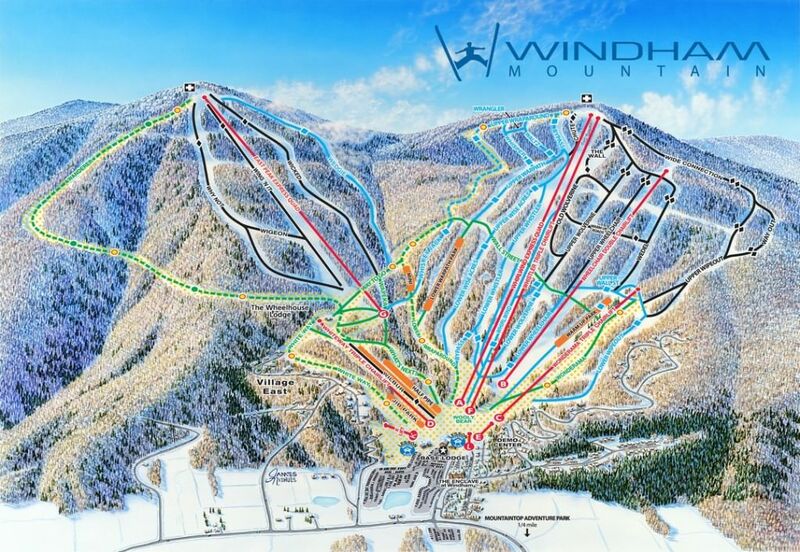 Windham MT’s made some serious renovations in the last few years, launching the largest Learn to Ride/Ski center upgrade on the East Coast. Add to that, lodge makeovers the new trails they’ve cut and you’ve got a whole new look on and off the slopes. Windham now features one of the only true glades trails in the Catskills! It’s long been the place to get away from the crowds and that weekly drag with our midweek break “Windham Wednesday”. While lift lines start to crowd the weekend scene, you can run laps on the mountain all day long without catching a sniff of a lift line on a Wednesday. Spend more time shredding and less time on line! We’ll be at Windham every Wednesday all season long. Don’t spend another hump day doing the same old thing… waiting for the weekend. Do it different and get to Windham Wednesday! It wasn’t before long that one day at Windham wasn’t enough and we added a Weekend Day to the Windham Scene. Join us this season for Sundays, Wednesdays, and select additional days. • Great people & One hell of a good time!! !